SJ Johnson now offers Gas Fireplace Service and Repairs. We’re happy to be able to offer more services throughout Calvert County, Charles County, St. Mary’s County, Prince Georges County and Anne Arundel County. A fireplace is a structure within conventional homes that provides heat and serves as an element of architectural style, as they are usually built into walls. In many homes, older and newer, the fireplace is a showcase for social gatherings. Although most fireplaces are similarly constructed and share common features, the basic fireplace is comprised of a central foundation of cement, along with a hearth, a firebox and unique facing, ash dump and cleanout doors, a lintel and lintel bar, a breast, a damper, a smoke chamber, a throat, a flue, a chimney chase, a crown, a cap or shroud, and a spark arrestor. The structure of the fireplace was incorporated in the designs of homes for decades, even centuries. Today, however, since the fireplace has been replaced by central heating, the presence of fireplaces, where they still exist, seems to be to carry on tradition. Traditionally, fireplaces were fueled by coal, wood, or peat. Today, these burning materials have been replaced by natural gas and electrical fires because the fact is that these are cleaner, safer, and frequently less expensive than the older forms of fuel. Gas fireplaces usually require small doses of fuel to allow flames to burn for long periods of time. Modern fireplaces are better and more economical that way. KEEP YOUR FIREPLACE SAFE AND CLEAN. 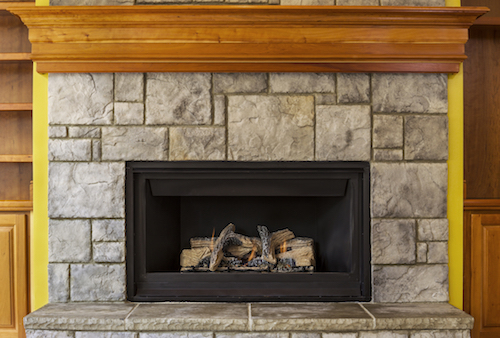 CALL SJ JOHNSON TODAY FOR FIREPLACE MAINTENANCE AND REPAIRS.